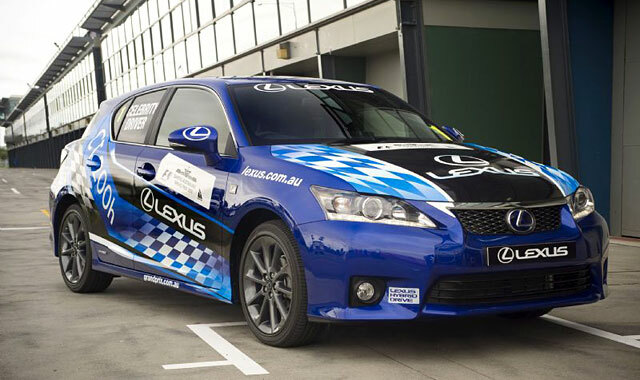 The Lexus CT 200h Celebrity Challenge will feature 27 all-new Lexus CT 200h hybrids racing around Melbourne’s Albert Park circuit this March. Significantly, the Celebrity Challenge will be the first hybrid-only race staged globally and will mark the introduction of the all-new compact luxury hybrid to the Australian luxury market. The hybrid-only race also coincides with the reintroduction of Kinetic Energy Recovery Systems (KERS) to Formula 1™ race vehicles. KERS, like in a hybrid vehicle, captures energy and stores it for use later in the race to boost engine power. In a new initiative, made possible by the Lexus CT 200h, two celebrities will have the opportunity to win – one for outright position and the other for the Le Mans-inspired “index of efficiency” concept, by measuring fuel use during the race. Evans avoids discussing the potential on-track carnage with the cars but promises a field with far more genuine celebrities than recent AGP celebrity contests. “Our target is to try and get a new group. Not so much new faces, but different faces. So not someone like Guy Leech,” he says. This is a huge event for Lexus Australia, and sounds like a blast — can’t wait to see some racing footage. jesseps: How is it a race? Its 27 cars that are the same.